In this article, we will learn about Memcache. We will learn the Memcache with question and answer approach. Memcached is an in-memory key-value store for small chunks of arbitrary data (strings, objects) from results of database calls, API calls, or page rendering. Memcached uses an LRU caching algorithm(Least Recently Used (LRU) – discards the least recently used items first). Who are all using “Memcached”? What are the Use cases to use “Memcached”? The above question and answers will give us some insights about the Memcached. Now, we will see “how the traditional systems will use the cache” from the below diagram. 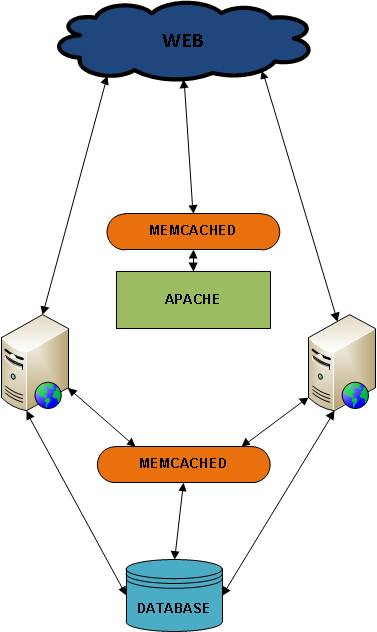 In the above architecture, the cache is part of the application server. In this case, some of the memory is allocated for cache from the heap size allotted to the JVM. If the cache size increases, then the heap size need to increase. 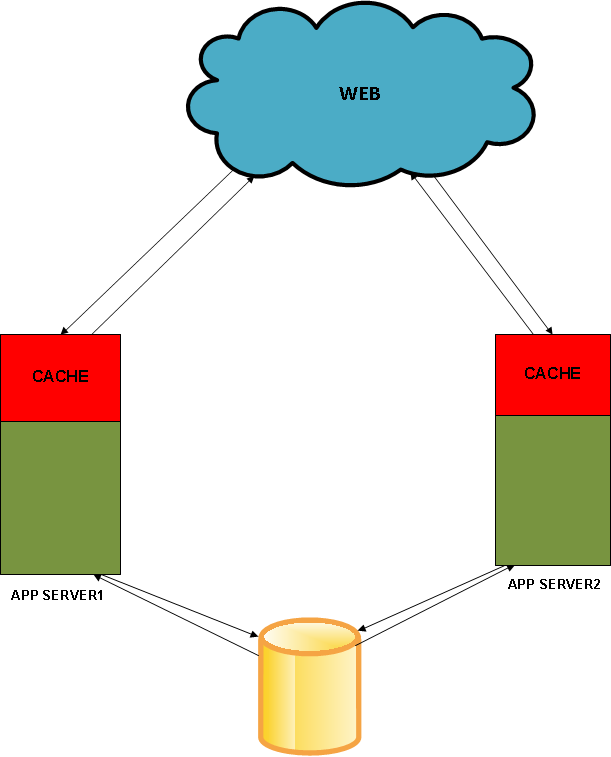 There is no better control over the cache, because, the cache is bundled with the app server. To have better control, we need to separate the cache from the app server. The architecture given below depicts the same. In the above architecture, we have separated the cache from the application. So, either we can maintain the cache in the same server where the application is deployed or we can assign separate machine for the cache. If the cache size increases, we can increase the RAM size without affecting the application. So, we have better control over the cache. How to install and set up “Memcached”? In this article, I have used the Ubuntu operating system to install and set up the Memcached. Follow the below steps to install and run the Memcached. Extract the downloaded file and move to the extracted folder. Open a new command prompt and try to connect to the Memcached through telnet. For example telnet <host> 11211. If you are able to connect successfully to the Memcached server then the installation and the setup is done. What operations we can perform with “Memcached”? After establishing the connection to the Memcached through telnet, we can perform the below operations. Do we have any client API’s? We have client APIs for all the major languages. You can find the list of client API’s here. How to use JAVA client API? Follow the below steps to use the JAVA client API. After the completion of operations, call shutdown() on memcached client. Now, you can try out “Memcached” as part of your applications. Very good article. Thanks for your effort. Keep posting new articles. The technology usage with use cases are good. Are there any other prominent cache frameworks available? I am using spring framework for our applications. How can we use memcached with spring framework. Any references? You made it looks very simple. Thanks for you effort!